Cinco de Mayo isn't Mexican Independence day. It is however, a day that Mexico commemorates winning the battle against the French Empire at the Battle of Puebla in 1862 which happened 50 years after Mexico already won its independence (Sept 16, 1810). So why did they have to fight this battle? Mexico had debt that it couldn't pay due to previous wars, and the President, Benito Juarez, asked for a two year suspension to help recuperate. The French saw this as an opportunity and decided to invade Mexico to make it a French territory. There was a small army waiting for them when they arrived at the town of Puebla. Even though the French army outnumbered the Mexican army, the French army was defeated before they were able to get to Mexico City. Yay! So why is it celebrated so much in the US? This win was a symbol against French imperialism. The US helped Mexico push out the French for good. Around the same time of the Battle of Puebla, the Mexican Americans in the US used the victory as inspiration in their struggle with the Union during the Civil war. It's thought that if the French would have won in Puebla & the Mexico City, they would have aided the side of the Confederacy in the US. The celebration of Cinco de Mayo. 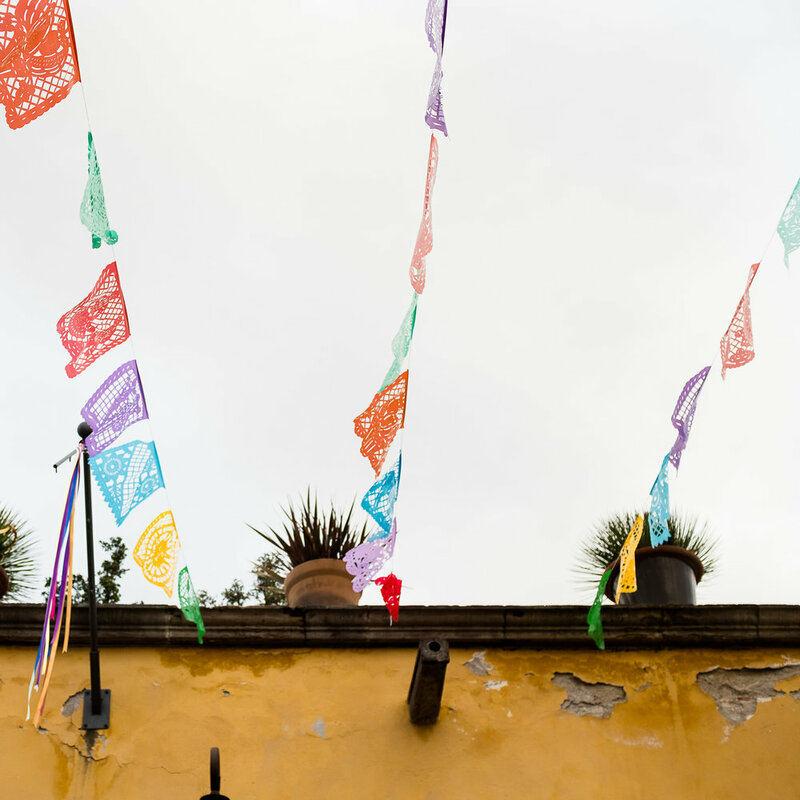 Cinco de Mayo is a holiday celebrated in the town of Puebla with a festival, parade, and music celebrations. In the US you'll also see celebrations. I think this is a great time to educate and teach others about Mexican and American history. It's important to know the significance of any holiday that you choose to celebrate. 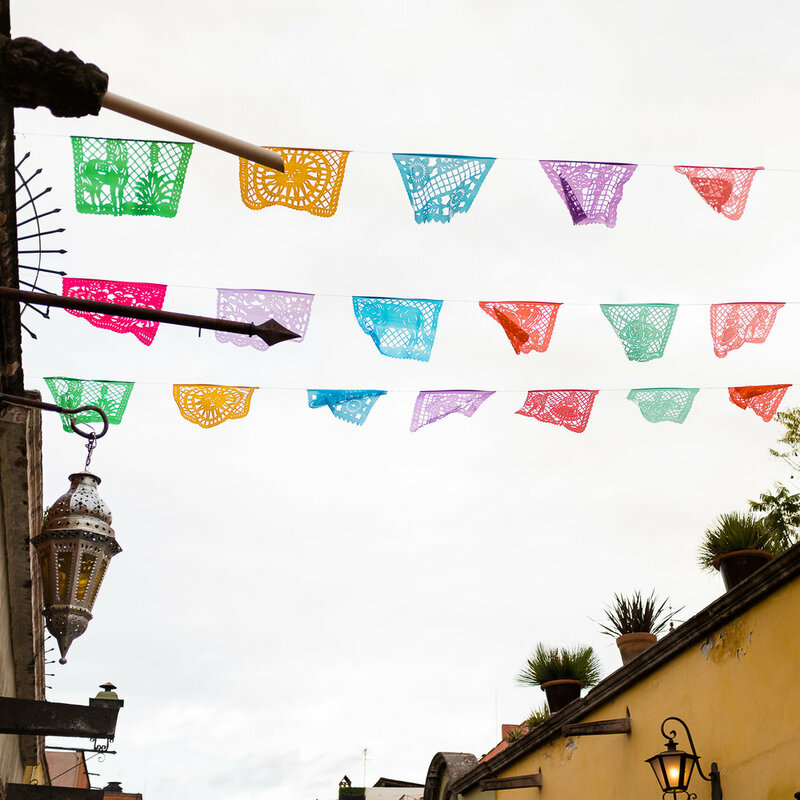 Rather than just jump at the chance to enjoy Mexican food, and have bottomless margaritas, take some time to learn not only about another culture, but also US history. Doing this will help with empathy, understanding, and humanity as a whole. Our kids will have a better future that way. I've partnered with XO Marshmallow this week. I have a new collection hanging in their new cafe, and I'm going to be there hanging out TWICE this week and talking about the history of Cinco de Mayo. So come with any questions or with just your sweet tooth. If you've seen the movie Coco you've seen the decoration known as "Papel Picado" or "pecked paper". These paper banners are most commonly displayed for holidays or religious occasions like Easter, Christmas, Day of the Dead, quinceñeras, baptisms, weddings. It was breathtaking to see the whole Day of the Dead land in the movie Coco to be so vibrantly decorated with papel picado. It's not usual that I see something like that in the US. Papel picado came about during the 19th century. It was typically made by hand using a chisel. First, an intricate design is drawn on paper and covered with plastic to protect the original drawing. To make several copies at once they stack many thin tissue paper sheets together and chisel the design out. The stack is then picked apart and hung on a string with other papers that have different designs. This is similar to the Chinese paper cutting, but rather than being cut with scissors, in Mexico they use chisel. The art of Papel Picado is officially recognized by the ministry of Tourism and culture in Mexico. San Salvador Huixcolotla in Puebla is known as the center of papel picado, but in the 1930s the art spread to other parts in Mexico. It was in the 1960s that papel picado made it's way to the United States and Europe. Now you'll see this decoration made out of different materials like plastic of thicker paper so that it can withstand the outdoors, or be a more permanent and sturdy decoration. I have a new print called Papel Picado that I'll offer this summer in a new collection. Here's a sneak peek of it. I'll be announcing a launch date soon, but until then, be thinking and planning where in your home this print would be perfect to hang.